If you are looking for a holiday coffee gift basket idea, we have you covered. 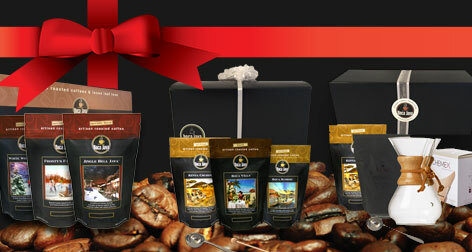 We offer gourmet coffee gift sets and coffee gift boxes for everyone on your shopping list. Perfect for Father's Day, Mother's Day, Valentine's Day, Christmas and Chanukah. We offer gourmet coffee gifts for the coffee novice to the coffee lover and even the coffee snob. Our gourmet coffee gifts are all roast-to-order and come in a gift box all ready to give out. This year, do something different and give the gift of gourmet coffee from Boca Java.